Property 7 just deposited rent for June. It was great to get that one rented out so quickly. It is so nice to get notice of your vacancies. 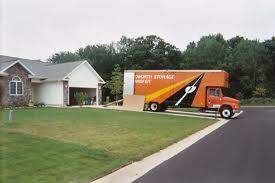 I am accustomed to my ‘C-‘ tenants moving out with minimal notice or in the middle of the night. I took note of several areas during this recent vacancy where you can use your current tenants to help you with the make ready. Stress they need to take all furniture and personal belongings. I always go out of my way to stress this. Some tenants may think they are doing you a favor by leaving a couch and a bottle of catsup in the fridge. I want it ALL gone when they leave. I typically remind them of bulk trash days and give them the phone numbers for the local Salvation Army and Goodwill stores. These charities will pick up most items. Advertise early, but get their OK. It’s in my lease that I can advertise the house early, but I always approach it so that they are agreeing and somewhat approving me to do so. I have never had anyone give me a problem with this. Once the exterior looks presentable, I get my sign in the yard. Ask if anything needs to be repaired inside. This is certainly not something I ask when I pick up the rent each month, but now is the time to come out and ask this. Anything that needs repaired I get it done before they leave. Incent them to clean. Remind them of what it takes to get their deposit back and that you want to be able to give them a good reference. You can “Wave the Carrot” a bit more by saying, “ ..although the lease says I can hold the deposit for 30 days after move-out, I will pay this out at the final walkthrough if everything looks good”. Be sure and get the garage door openers, fan remotes, etc. before they are gone. Offer $100 to find a new tenant. If you have good tenants, they likely know people that would make good tenants. First just ask if they know someone (try and get it for free), then a week later offer $100 if they find your next tenant. So far, I have only offered this in the winter when I thought it might be harder to fill my vacancy. Stress they need to be out on time. Stay in communication with your tenants during this vacancy period. I would even border on over-communication. You don’t want this scenario – “Well the house we were bidding on didn’t meet appraisal, we are passing on it – We need to stay until we find another home”. If you already have new tenants lined up, this will be a problem. Technically you could force them to move, but staying on top of your tenants every few days will eliminate this scenario and let them know they need to move out as agreed. Move out notice is great. If you get it, then take advantage of it and get your current tenants to help out where possible. If you treat your tenants well during their stay, its surprising how far they will go to help you when they move. All great tips. I burn a CD with the move in pictures, and give it to the tenants with a cleaning sheet. I always get a solid deposit, at least a month’s worth of rent. If I have to clean, I (my company) charges $40 per hour to clean. Since I generally have solid tenants, mot often there is not an issue. I can also find tenants quickly in this market. « How do you keep your good contractors?